Are you leaving the door open to opportunists? Access control is becoming increasingly important for ensuring the security of office buildings, but as the modern workplace evolves you’re unlikely to find a one-size-fits-all solution. 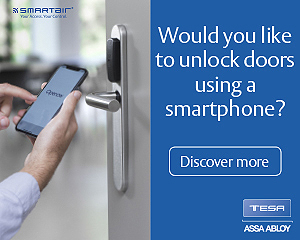 Today it’s commonplace to control entry to individual rooms or restricted areas, and cater to more flexible working hours that extend beyond 9 to 5, so a modern and reliable access control system that exceeds the limitations of standard mechanical locks is indispensable. Bosch has developed access control systems that guarantee reliable entry management for indoors and outdoors. They use state-of-the-art readers and controllers to restrict access to certain areas, ensuring only authorized individuals can get in. With video cameras located within close proximity you can then monitor and record any unauthorized access attempts. The system can also undertake a people-count to ensure only one person has entered using a single pass. 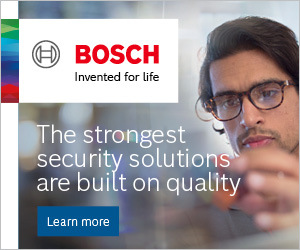 As previously mentioned, there is no one-size-fits-all system, but thanks to the scalability of the hardware components, Bosch systems can adapt to your changing security requirements. For example, you can install the Access Professional Edition (APE) software for small to medium-sized offices, then switch to the more comprehensive Access Engine (ACE) of the Building Integration System (BIS) when your security requirements grow. And, because the hardware stays the same, any adaptations are simple. The APE software administers up to 512 readers, 10,000 cardholders and 128 cameras, making it ideal for small to medium-sized buildings. With functions like badge enrollment, entrance control monitoring and alarm management with video verification it provides a high level of security and ensures only authorized employees and visitors are able to enter certain rooms and areas. Of course, there will always be situations when, for convenience, you need certain doors to be permanently open, such as events and open days. APE has a solution to that, too, with a ‘permanent open’ functionality that allows employees and guests to enter designated areas easily and conveniently. What happens when your security requirements need to grow with your business? You simply switch to the Bosch Building Integration System (BIS), without having to switch hardware (it stays the same, remember?) This is a software solution that manages subsystems like access control, video surveillance, fire alarm, public address or intrusion systems. All on a single platform. And, because it’s designed for offices with multiple sites, it’s the ideal solution for large companies with a global presence. The BIS Access Engine (ACE) administers up to 10,000 readers and 80 concurrent workplace clients per server, and 200,000 cardholders per AMC. An additional benefit to security officers is the ability to oversee cardholders and authorizations through the central cardholder management functionality, and monitor all access events and alarms from every connected site. What’s more, for consistency, multi-site cardholder information and access authorizations can be created on a central server and replicated across all connected site servers, which means the cardholder information is always up to date and available in every location. Securing all perimeter doors is vital when protecting your employees, visitors and intellectual property. Doors are opened and closed countless times during business hours, and when intentionally left open, your office is vulnerable to theft, and the safety of your employees is compromised. For this reason, Bosch designed the B Series and G Series intrusion control panels, developed with advanced features to ensure all perimeter doors are properly closed, even when the system is not armed. If a door remains open for a period of time (you can specify anything from one second to 60 minutes), the system can be programmed to automatically take action. For example, it can activate an audible alert at the keypad to give employees time to close the door. Then, if it is still not closed, it will send a report to a monitoring center or a text directly to the office manager, and when integrated with video it can even send an image of the incident to a mobile device. Now that’s smart security. What about people who need to access your building outside of working hours, like cleaning crews? Bosch allows you to customize the way your intruder system operates with a single press of a button or swipe of a card. This level of control enables you to disarm specific areas, bypass points and unlock doors for cleaning crews or after-hours staff, whilst keeping server rooms, stock rooms and executive offices safe and secure. Need help managing video, audio and data? 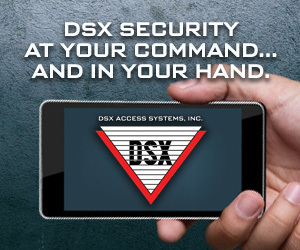 A video management system will add a next level of security to your access control system. For example, the Bosch Video Management System (BVMS) provides seamless management of digital video, audio and data across IP networks for small to large office buildings. It is fully integrated and can be scaled according to your specific requirements. The entry-level BVMS Viewer is ideal for small offices that need to access live and archived video from their recording solutions. With forensic search it enables you to access a huge recording database and scan for a specific security event in a matter of seconds. For larger offices, Bosch has embellished the security functions for the BVMS Professional version so it can manage up to 2,000 cameras and offers full alarm and event management. It’s also resilient enough to remain operative should both Management and Recording Servers fail; reassuring if you have critical office applications that need to be secured 24/7. Bosch has the experience to understand that large multi-national companies often need access to video surveillance systems at numerous sites, which is why BVMS Professional allows you to access live and archived video from over 10,000 sites across multiple time zones from a single BVMS server. When integrated with the BVMS Enterprise version multiple BVMS Professional systems can be connected so every office in the network can be viewed from one security center, which provides the opportunity to monitor up to 200,000 cameras, regardless of their location. If your strategy is to significantly improve levels of security, video analytics is an essential part of the plan. It acts as the brain of your security system, using metadata to add sense and structure to any video footage you capture. In effect, each video camera in your network becomes smart to the degree that it can understand and interpret what it is seeing. You simply set certain alarm rules, such as when someone approaches a perimeter fence, and video analytics alerts security personnel the moment a rule is breached. Bosch has developed smart analytics in two formats. Essential Video Analytics is ideal for small and medium-sized commercial buildings and can be used for advanced intrusion detection, such as loitering alarms, and identifying a person or object entering a pre-defined field. It also enables you to instantly retrieve the right footage from hours of stored video, so you can deal with potential threats the moment they happen. Bosch’s Intelligent Video Analytics has the unique capability of analyzing video content over large distances, which makes it ideally suited to more expansive office grounds or securing a perimeter fence. It can also differentiate between genuine security events and known false triggers such as snow, rain, hail and moving tree branches that can make video data far more difficult to interpret. So, whatever the weather, your premises stay safe and secure. The final piece in your security jigsaw is an intelligent camera. The latest range of Bosch ’i’ cameras have the highest image quality, latest data security measures, and bitrate reduction of <80%. And, with video analytics as standard, they take data usage to a whole new level. Be prepared for what can’t be predicted. By now you should have an informed understanding of the lengths Bosch go to ensure your security, and the technology that makes it possible. And although no-one can fully predict what kind of security-related event is around the corner, when you’re with Bosch our experience and expertise will help make sure you’re always fully prepared.